Why hello there! My name is Abe, but the good folks around here at Pixie call me “Granpa” because I’m everyone’s favorite lovable older man! 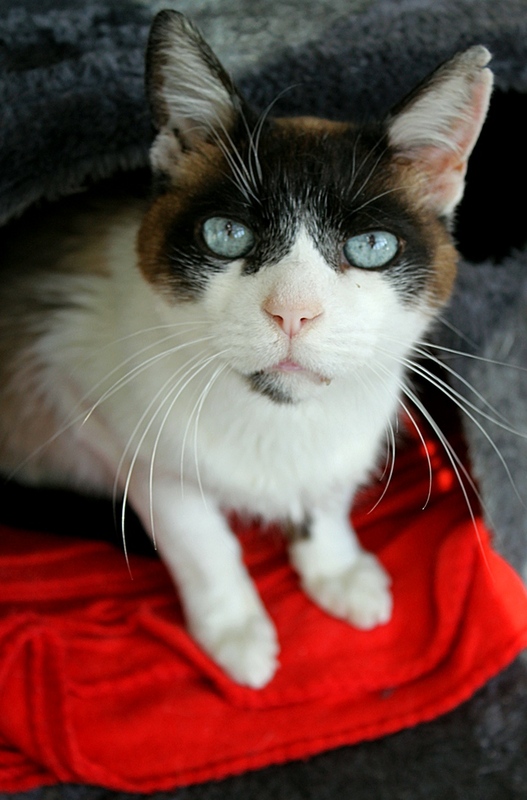 I’m a gorgeous 12-year-old Snowshoe Siamese mix that loves absolutely everyone and enjoys snuggles and lap-time as much as I enjoy being held and hugged. I haven’t ever met anyone — two-legged or four-legged — that I don’t like. I’m an overall easy-going and mellow guy that prefers to spend my days lounging and reading the paper alongside my human. I am definitely a big lap-cat and usually will crawl into your lap or up onto your shoulders as soon as you sit down. 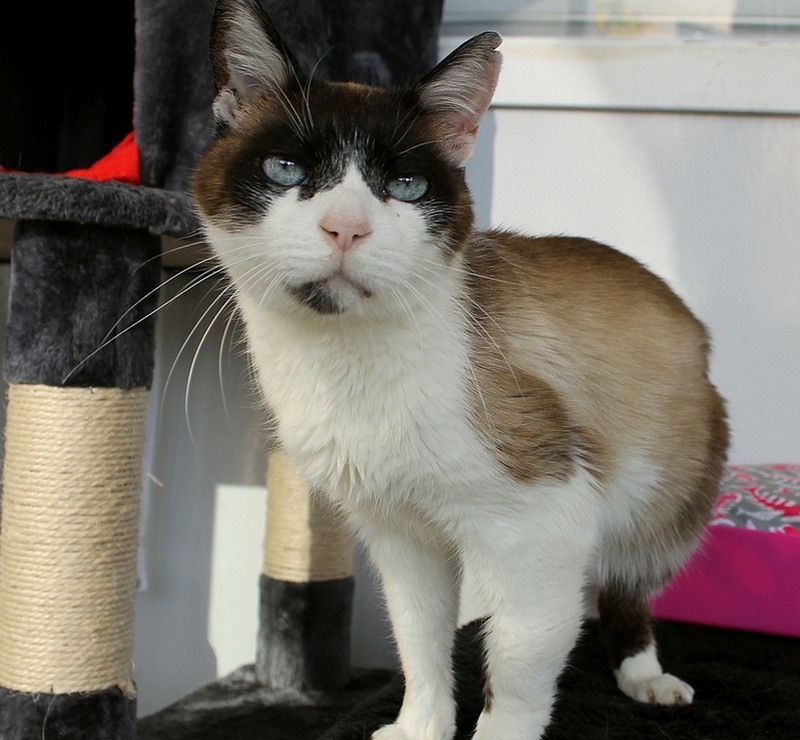 I’m currently living very peacefully in the Pixie cattery around other cats big and small, old and young and nobody seems to bother me at all — in fact, I’m typically part of the welcoming committee and love to bump noses just to say hello! Pixie will be providing me a dental and has already run bloodwork to make sure I’m a healthy older gentleman. As is common in older kitties, I’m in the very early stages of kidney disease so the vet has recommended I take a medication just twice a week to help my kidneys stay healthy longer. I’m not on any special food or other meds so would make an over-all very low-maintenance but incredibly loving and affectionate best friend for almost anyone! Are you in need of a granpa to spend the holidays with? I know where you can find the most handsome one! Come meet me today! I come to you fixed, vaccinated, and micro-chipped for and adoption fee of $80.